The parents of a 3-year-old child, who suffered severe burn injuries when his toy truck exploded into flames, injuring him seriously, have now filed a lawsuit against the company that manufactured the toy. The boy is now 3 years old. 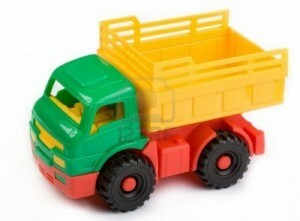 The accident occurred on June 3 last year, when he was riding his battery-operated toy truck in his yard. At the time, the boy was 2 years old. The boy was severely injured when the toy tractor suddenly and inexplicably burst into flames. He suffered burn injuries across 50% of his body. The boy is believed to be on the road to recovery, but his injuries will take a long time to heal. He may have to undergo multiple surgeries as he gets older, and may incur heavy medical expenses in the future too. His parents have now filed a lawsuit in the US District Court in Columbus, against the manufacturer of the toy tractor, Peg Perego Inc. According to the lawsuit, the fire was caused due to a defect in the toy that caused the tractor to explode into flames. Peg Perego meanwhile insists that the materials in the toy tractor are not designed to be inflammable. The company maintains that the accident was caused due to external factors in the environment that caused the toy to burst into flames. Often, toy-related accidents like this are the result of defective design. Many toys are not designed for children of a certain age, or for use in certain kinds of environments. Other times, accidents are caused due to some defect in the manufacturing process. In other cases, children may be injured because the toy does not come with proper instructions or safety warnings. No matter what the cause of the injury, it is important to get in touch with a product liability attorney to ascertain whether any of these above factors were responsible for the child’s injury.